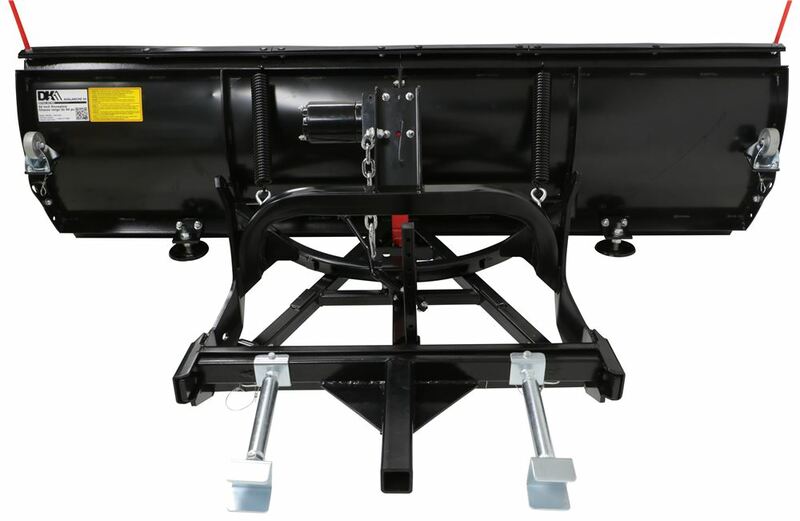 Hitch-mounted residential plow has shock-absorbing springs and a steel-edge blade to easily clear driveways and parking lots. 3-Position blade pushes snow straight ahead, right, or left. Wireless remote lets you raise or lower plow from your cab. 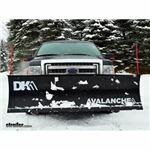 Lowest Prices for the best snow plow from Detail K2. 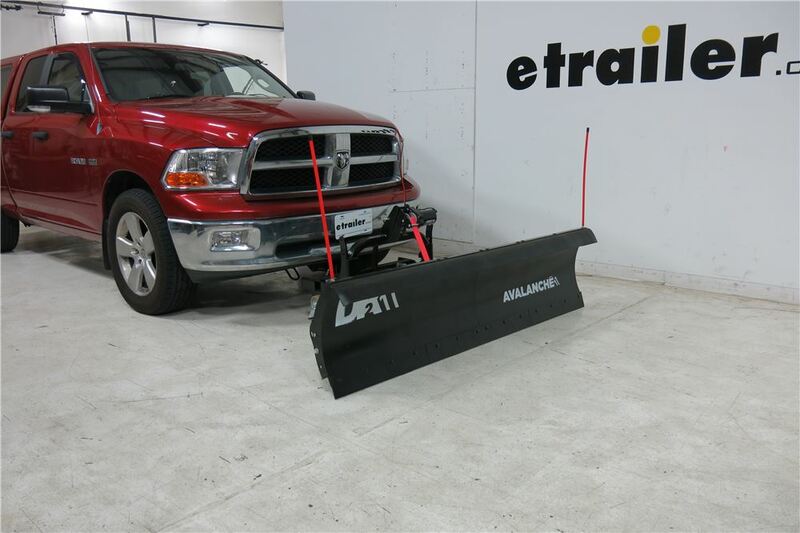 Detail K2 Avalanche Snowplow for 2" Hitches - 84" Wide x 22" Tall part number K2AVAL8422 can be ordered online at etrailer.com or call 800-298-8924 for expert service. 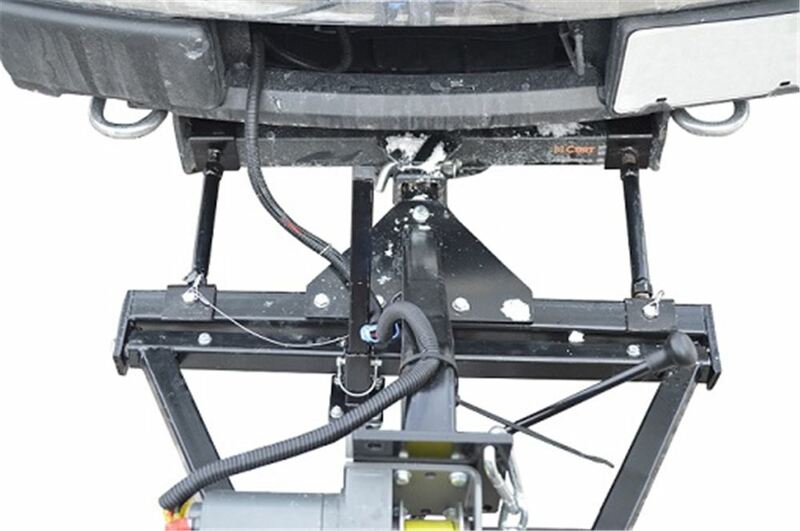 Distance from center of hitch pin hole to the front edge of plow: 50"
The Detail K2 Avalanche snowplow conveniently slides into your vehicle's front-mounted trailer hitch for fast, simple mounting. Easily raise and lower the plow from the comfort of your cab with the remote-controlled electric winch. The pivoting blade makes this plow ideal for rocky or uneven surfaces because it can adjust to the terrain. 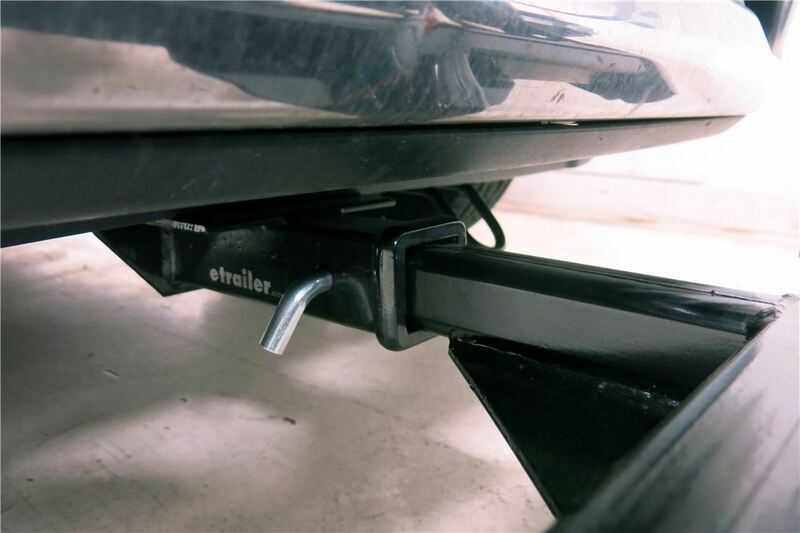 This hitch-mounted snowplow simply slides into your vehicle's front trailer hitch receiver, making it a breeze to install. 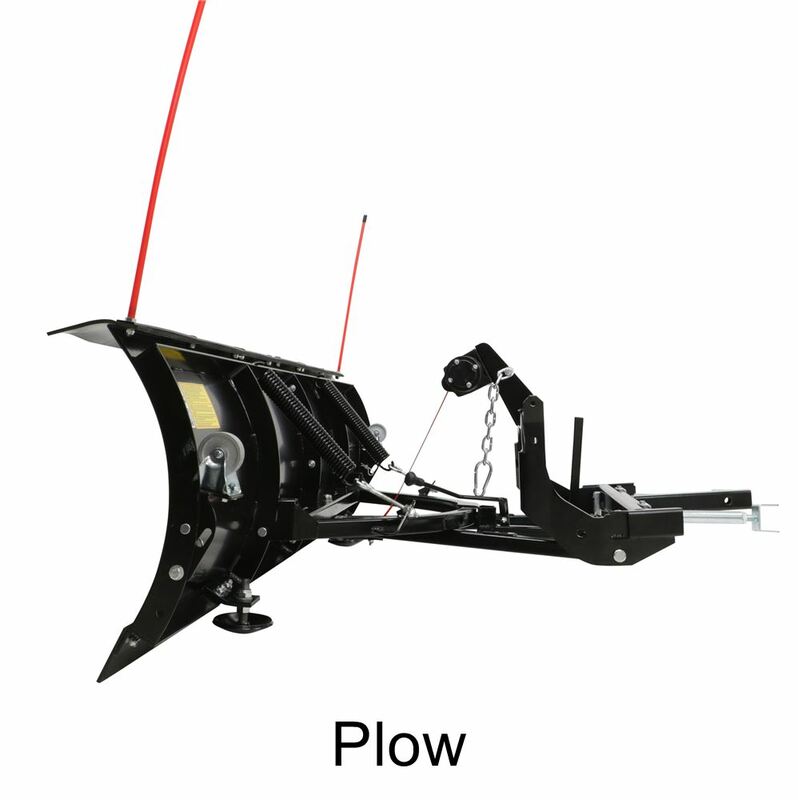 A plow that attaches to custom-fit brackets ties you down to just 1 vehicle. 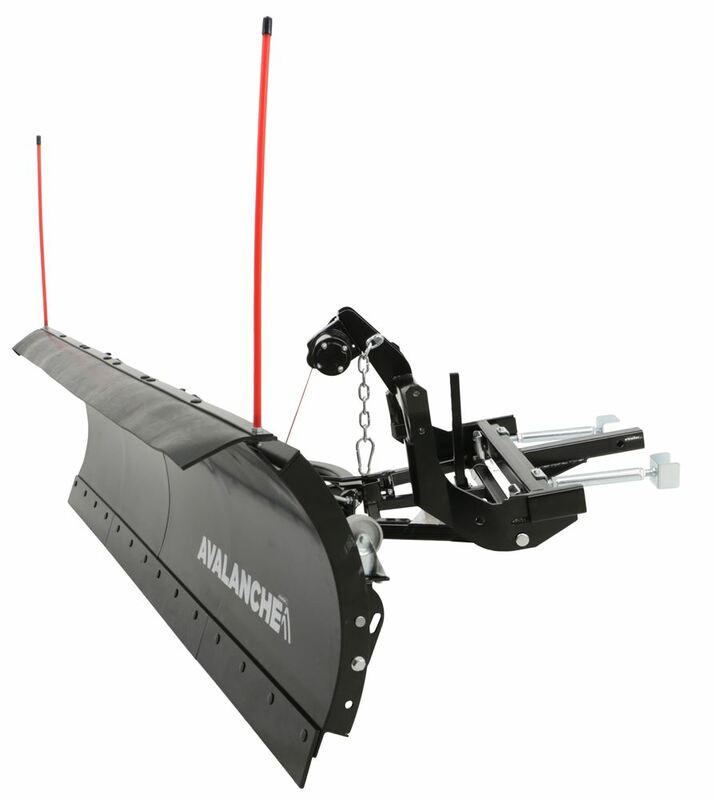 But this hitch-mounted plow can be used on most trucks or SUVs with a 2" x 2" front-mounted hitch. As a result, this plow can be easily switched between multiple vehicles. And because it offers a nearly universal fit, you won't have to buy a new plow when you replace your old vehicle. 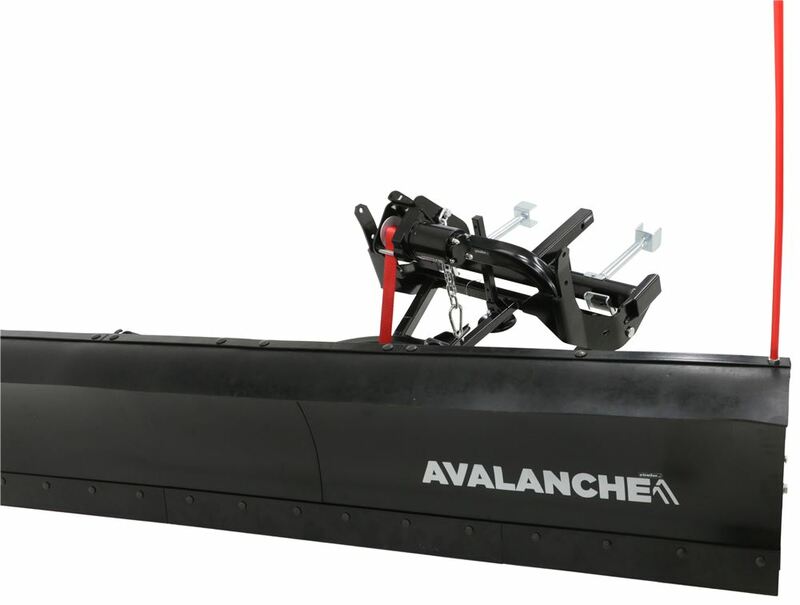 To install the Avalanche snowplow, just slide the shank of the plow assembly into your 2" trailer hitch receiver (sold separately). Then use a pin and clip or a hitch lock (sold separately) to secure the plow in the receiver. 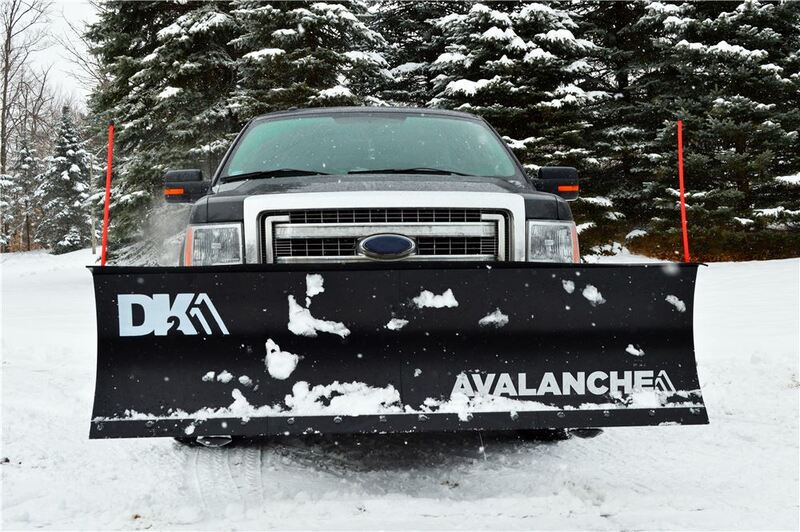 The Avalanche snowplow comes with flip-down caster wheels that make the installation process even easier on you. Simply flip the wheels into position and you will be able to roll the plow into position for mounting or storage. The height of the wheels can also be adjusted to match the height of your vehicle. Once the plow is mounted on your vehicle, lower the blade and set it to the desired angle. To set the angle, exit the vehicle and manually position the plow straight ahead, to the left, or to the right. Angling the blade allows you to push snow off to the side where you want it without having to change the angle of your entire vehicle. This is especially useful on a driveway or a private roadway where piling the snow straight ahead would create a barrier. The Avalanche comes with a wireless remote that allows you to stay warm and out of the elements while still effectively controlling the plow. The remote operates on a 2.4 GHz frequency, allowing it to quickly send signals to the winch without experiencing delays. And because it's wireless, you won't have to run wires through your dash. Nor will you have to leave your window cracked open in the middle of a snow storm just so that you can run a wired remote into your cab. You will be glad to have it on those cold winter days. To begin plowing, just drive forward. When backing up to take another pass, be sure to lift the plow with the remote, then lower it again before moving forward. When approaching a large pile of snow, be sure to decrease your speed. 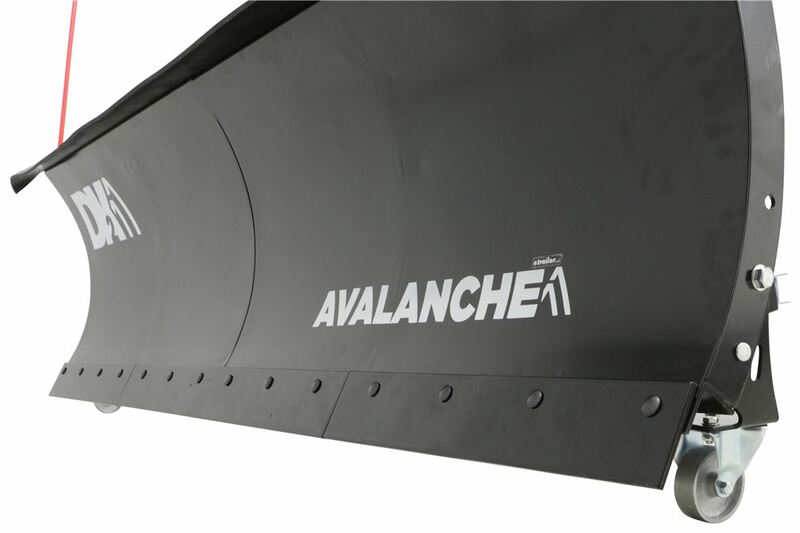 Slamming into a pile of snow can void the warranty on the Avalanche snowplow. When you are finished, put your vehicle in park and lower the plow. Remove the plow from your vehicle after every use. The electric winch on this plow allows you to easily lift and lower the blade using the wireless remote control. 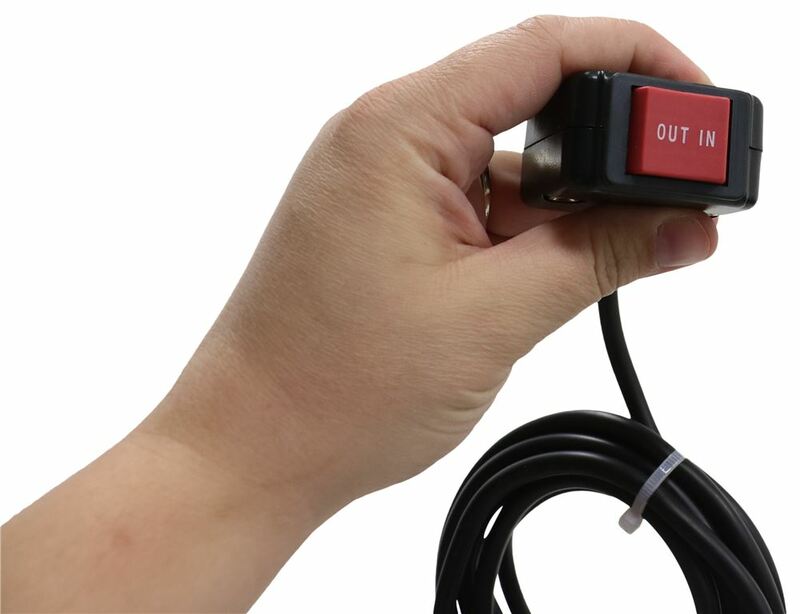 If you prefer, you can also install the included in-cab toggle switch to control the plow. The winch uses a durable strap, which is much quieter than a chain, to raise and lower the plow. 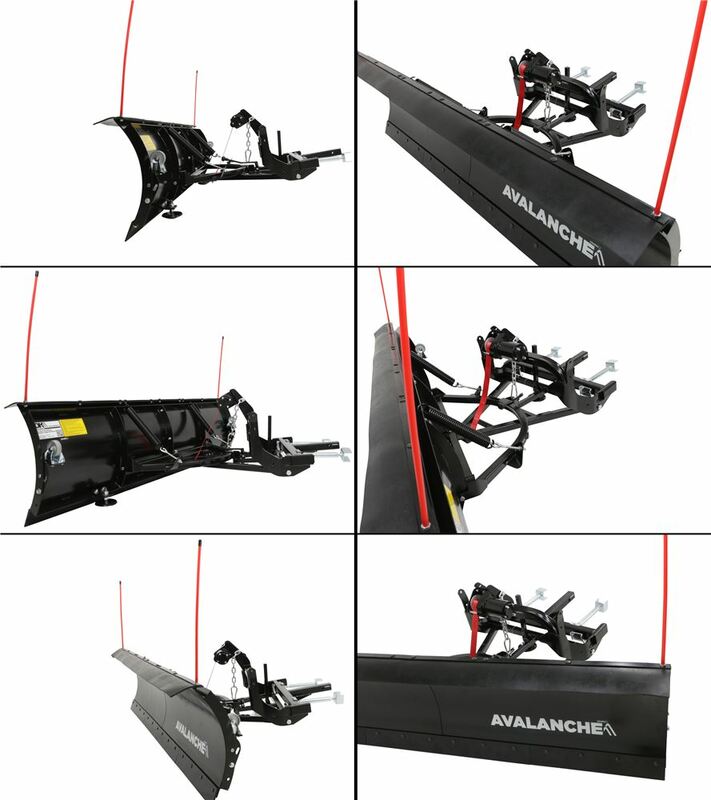 The Avalanche snowplow features skid shoes that allow you to adjust the height of your plow. This allows you to efficiently plow over surfaces that are uneven, such as gravel roads. 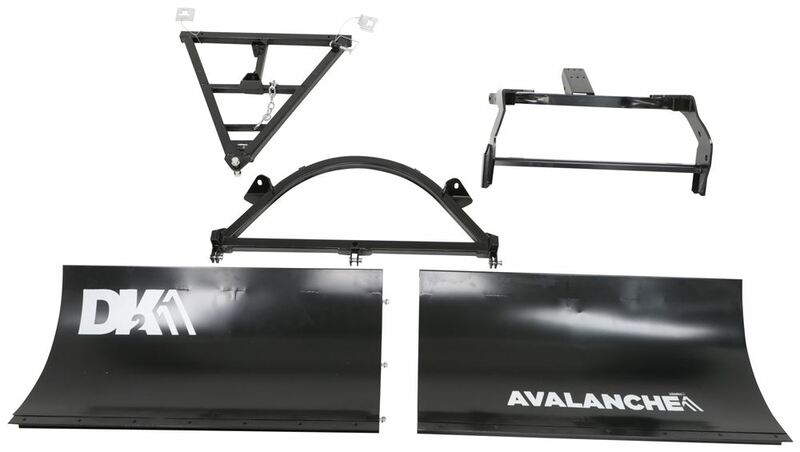 Blade stiffeners, or blade support brackets, reinforce the connection between the plow and your vehicle. 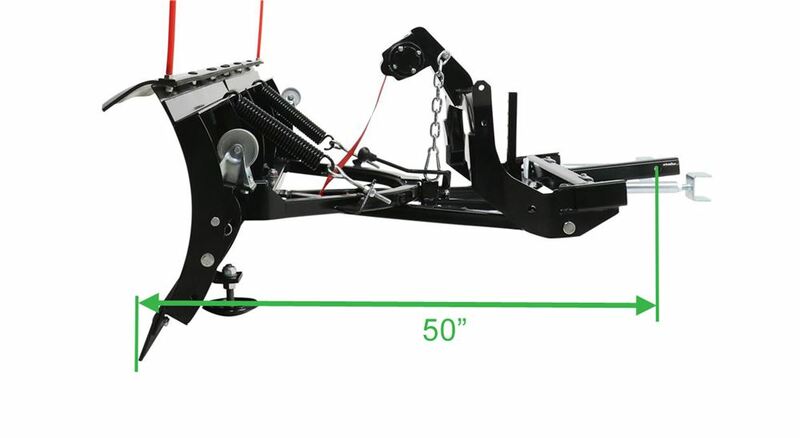 They add 2 additional points of contact with your hitch on either side of the plow's T-frame. 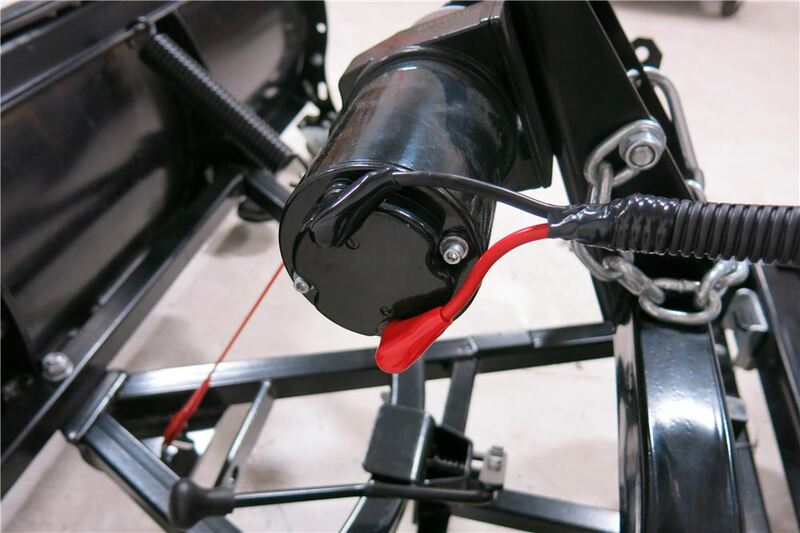 This prevents stress on the frame and on your vehicle, while also strengthening the performance of the plow. Shock-absorbing springs allow the plow to dip forward in the event that you hit an obstruction. This flexibility protects you and your vehicle from impacts. Speaker 1: Today, we're going to be taking a look at the Detail K2 Avalanche line of snow plows, available in 82 inches wide by 19 inches tall as part number K2AVAL8219. Also, available 84 inches wide and 22 inches tall, part number K2AVAL8422. Speaker 2: Now, the avalanche line of plows is going to work out really well for residential users or small business owners, somebody that has a small lot they might need to maintain and take care of and they don't necessarily want to pay a commercial company to come in and do it. It's going to attach right into a two inch by two inch receiver tube opening. It's very easy to wire up to your battery. 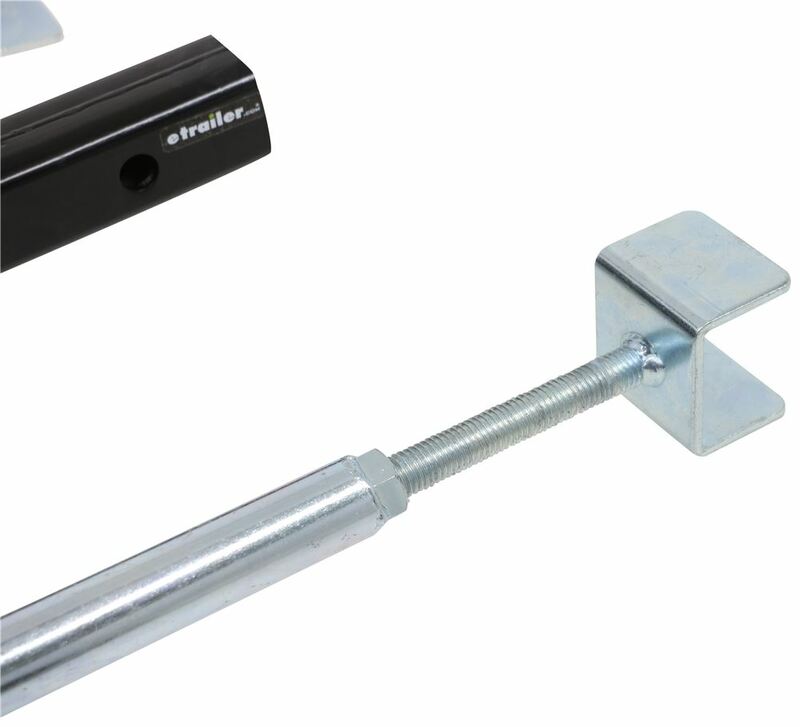 Everything you'll need will be supplied.Now, with this style of set up, all we're going to require is the front mount hitch on our vehicle rather than completely modifying the front of it to have the slide in ports and the electrical or hydraulic connections. 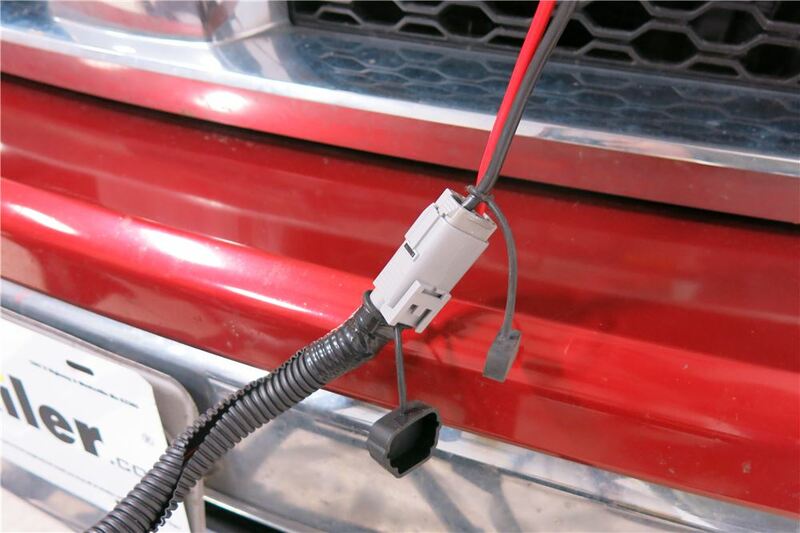 Like we said, we do require a two inch by two inch receiver tube opening here on the front of the vehicle. You will want to look at a front mount hitch. We have several of those available, just check out our fit guide at etrailer.com.Now to help out with your plowing duties and to get snow moved away properly, we can angle this to the right or left 45 degrees or, of course, we can have it straight how we've been looking at it. To do that, we'll have a lever right here that we'll need to pull. We'll just pull out on that. Of course, you want your plow up off the ground. Then, we can rotate it into the position that we want.The most common way to operate your plow is going to be from our handheld remote. This can go in the vehicle with you. It has a good range. Got the green button to turn it on, red button to turn it off. Simple and straightforward. Then, your in will lift the plow, out will lower it. Now, as a backup, there's also a manual button that is wired. This is going to plug into the exact same port where we plug in the receiver for our remote. You would remove that and plug this in if this we're to fail.Now to help out with our plowing duties a little bit, we're going to have the poles that stick up here on each side to indicate the outside edge of our plow. That's going to help prevent us from maybe hitting mailboxes and things like that. Then, what you see here is going to be that rubber lip that wraps down and around. That directs snow downward back in front of the plow rather than having it come up and over onto our truck or our windshield.Now, plowing can be pretty strenuous on the plow gear and also on your vehicle. What they've done is incorporated the two steel springs, we've got one on each side, and pivot points for our plow. If this bottom edge we're to contact concrete, maybe a raised lip on concrete, or a curb, the whole plow will pivot. Now, that pivoting motion is going to really reduce the pressures we're putting on the plow and our vehicle if we hit any kind of obstacles like that. As soon as we've cleared it, the plow is going to go right back to its original position.Also on each side of the plow, we're going to have the feet. Now, these are adjustable up and down. You can fine tune the distance between your blade and your surface you're plowing. Now when we're ready to disconnect the plow, we, of course, want to separate our power supply. We'll put the caps on both ends of that. Got our wheels back down, we've got our center leg back down. Then, we can just pull our pin and clip and slide the plow forward. Then, we'll just replace the pin and clip here in the side to keep everything up and level. Speaker 1: Now when installing our control box in the unit to power our plow, I like to bundle everything up and make it so it's very easily removable. I'm just going to have these three ring terminals. These, of course, are going to go the negative side and one's going to go to positive side. Basically this is going to allow me to take these components out of my truck very quickly and keep them out of the elements. There's no sense in letting our components ride around 12 months out of the year, being subject to the corrosion and the elements that we encounter out there, when it's very easily and quick to take these off, put them away with our plow and just use them for the months that we do need it.You can see I've used several zip ties here to get everything packaged together. The thicker black wire that comes out of our remote control box here is going to be plugged right into the operating unit here. The thinner black wire that comes out of our remote control box here, you'll notice I just zip tied that right off with my negative cable coming out of our operating unit. The only other one coming out of there is going to be the red one. That needs to go to the positive side of our battery.The longer red and black lead coming out that has the plug on the end of it, it will actually plug into our plow. I'll show you how to do that here in just a second. This particular application we're going to be installing on a Ram truck, but you'll want to be within about this far of your battery for the locations that you do pick. That's the length of lead that you have, so you want to be within about that far. You want to find a safe area to store it which, in our case, we're going to have a nice pocket here. We'll be able to stick that down and in, get it out of the way, like that will be good for now.Let's get our connections made. We'll start with our negative side. Now, we want this to go directly to our battery. We're going to be using our stud here, different applications will have different manners of connection here. Do be sure, again, to go right to your battery. Both of those are going to go right over the top. All we have to do, at this point, is replace our nut.Now, for the positive wire, we've got a 35 amp breaker that's going to go in the way, just helps to protect our circuits from overloading. The copper side is going to go to the provided pigtail that's going to go to our battery. The silver side is going to go towards our operating unit. Then, you'll use a 3/8th socket, just get those tightened down. Now, we'll attach that underneath the positive stud here. Then, we can grab some zip ties. We'll just get everything tidied up and secured off, so we won't have to worry about it bouncing around while we're driving down the road.Now, for our plug in side, we just want to run this down and around anything you might have in the way. In this case, we're going to go down and around our battery here. When we're ready to use it, we're going to bring this right up over our hood here. You can see that's going to come out right here in the front, so we can easily plug into our plow. When you shut it, just make sure it's not going to be any pinch points. Don't want it in the hood latch, don't want it in the stops there. As you can see, it's got a little bit of movement room there. We know our wires aren't getting smashed or pinched. Easily plug into our plow once we get it attached.Now, when not in use, I like the fact their wire is pretty thin, easy to work with. Just going to tuck that all together, get it tucked down out of the way. If need be, we can just zip tie it off to something just to give it a little bit of support. For the end of the cap, you will want to make sure you have on your cover just so no moisture will get in there, cause any shorts. Speaker 2: Now when moving the plow around the shop or your garage, whatever the situation maybe, we have wheels that will drop down and allow us to do that. Now, we have a wheel located on each side of the plow. When we're using the plow, they're going to store up and out of the way. 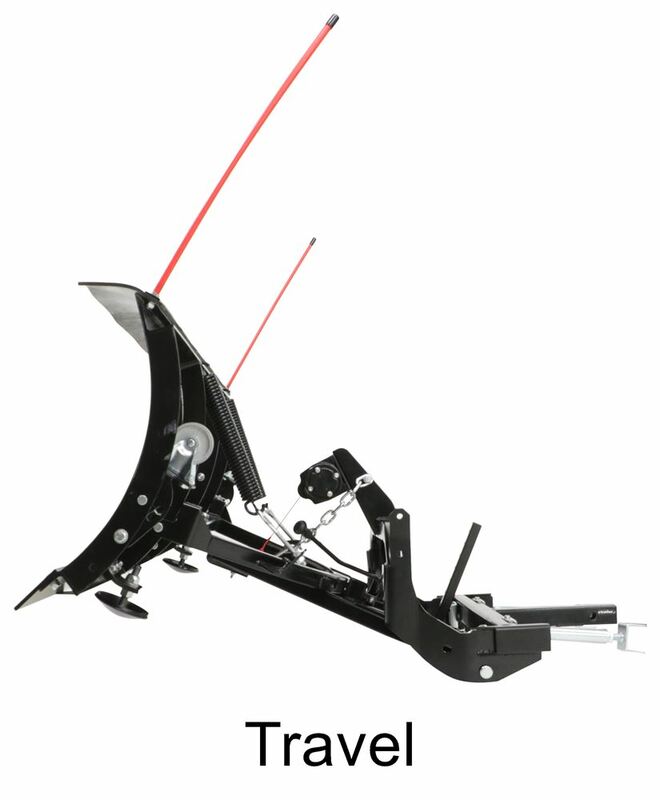 That makes it pretty easy just to come back and grab the shank or the frame, and get this wheeled in or out of location for either storage or get it closer to your truck to get it connected.Now depending on your hitch, you may also be able to use the blade stiffeners. You can see these are going to mount to the cross tube here. They come back and they make contact with the hitch. If you've got an exposed cross tube, that just helps to reduce some of that rotational force that's generated. Applications like what we have here today, our cross tube is not exposed. We're not going to be able to use them, so simply take them off or not install them to start with.Now, these are held in place just with a simple nut and bolt and a couple of flat washers. There's the attachment point. Now, they've really simplified the process of getting the plow attached to the truck. It's really just a one man job anymore. You can see we've got the keepers on each side here. We want to lift up and out on those. Then, we can just pull back on this section of the cross tube and install that in the vehicle first. We're just going to line up our hole here with the hole in our hitch. Then, we'll slide through the pin and clip. You'll want to use one 5/8th of an inch in diameter. If you don't already have one, it's on our website as part number PC3.Now, we'll bring the plow closer to that cross bar and get it installed. As you can see, we do have a leg here that's designed almost so you can slide it into position and bring it back. That's adjustable for height, and that can help you get lined up with that cross tube. You can see right now, we're just a little low. We'll bring this up a notch inaudible 00:09:44. Now, we can lift to rotate. You can see we don't have all the rotation we need. We've got a pin and clip here that holds that, so we can pull our clip out. Now, we can lift up, get it rotated in position and slid all the way back.Now, we can take the keepers and slide them on, and then just make sure they get pressed down. We'll do that on the other side as well. Now to make the electrical connection with our truck, we just want to pull our wire out and plug them together. 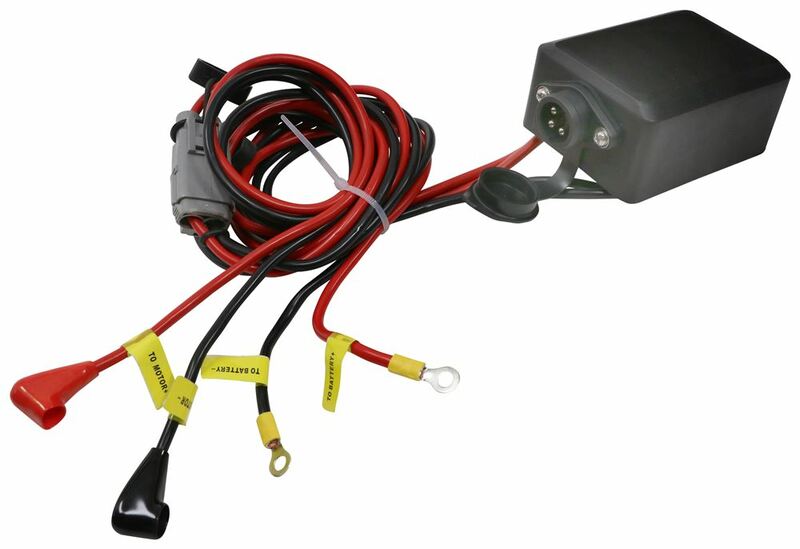 If this pigtail hasn't already been installed on your motor, just want to ensure that the black wire goes to the negative side and the red wire goes to the positive.We'll pull the caps off each side, get those plugged together and you hear a little snap. You can see, we've got the protective wire loom here. You're welcome to put that on the top side as well. You just want to make sure you've got clearance for it. As we come out underneath the hood here, we're leaving just a little bit more room so we're not going to add it there. You can see they're still moving. You just want to make sure that they're free to move and not pinched where they might be damaged.Now, once we have our connections made, we'll grab our remote, hit the green button to turn it on. Then, we can hit the in button, that's going to bring the winch in or lift our plow up. Now with the weight off of it, we'll pull the pin. We can rotate it up into the stored position. Line up one of our holes, and we'll just put our pin and clip back on to secure it. With our wheels up on both sides, then we'll come to our center leg, get that lifted all the way up and out of the way just like that.If we're going to be traveling down the road, we'll take our safety hook. That's going to attach to the frame just under our winch strap. That'll keep it secured, just in case the winch we're to fail, it won't come down. You can see, no tension on our strap. That's going to hold our plow up nicely.That's going to complete our look at the Detail K2 line of Avalanche snow plows. 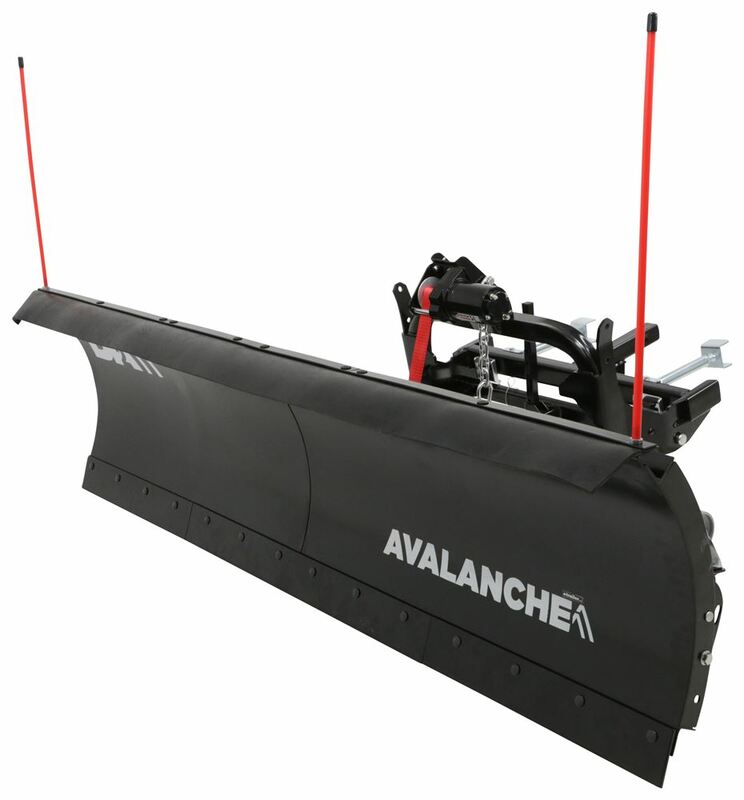 Order: RelevanceNewestRating - High to LowRating - Low to High Hitch-mounted residential plow has shock-absorbing springs and a steel-edge blade to easily clear driveways and parking lots. 3-Position blade pushes snow straight ahead, right, or left. Wireless remote lets you raise or lower plow from your cab. Do you have a question about this Snow Plow? For your 2016 Chevy Colorado you can use Curt front mount hitch receiver # C31074. I have included a link to the installation instructions for you. 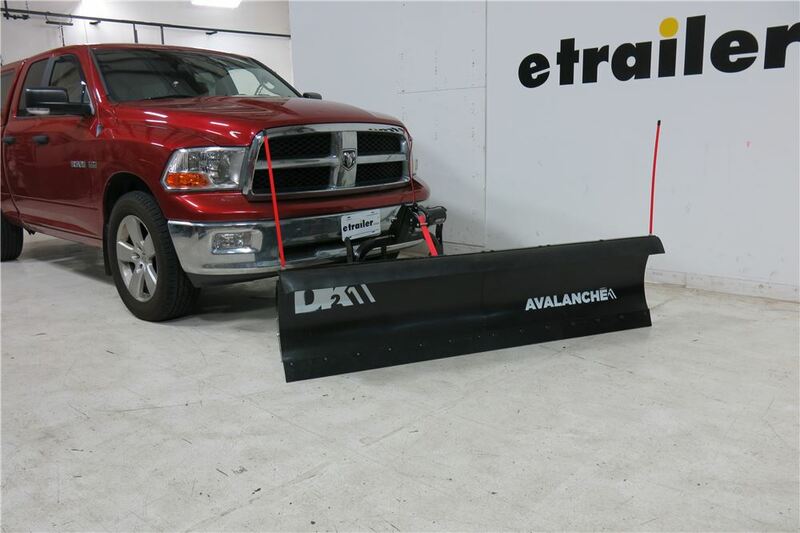 This hitch will work great with a snowplow such as # K2AVAL8422. This popular plow comes with a wireless remote and in-cab switch so you can raise and lower the plow from inside the cab. I have linked a video that shows the features of this line of plows. Will Agri-Cover SnowSport Front Mount Hitch Work With Snowplows on 1994 Jeep Wrangler YJ? I'd recommend going with a plow mount for your vehicle over a hitch style mount. On some hitch mount setups we've seen the hitch not be as durable as the mounts that mount to the frame and are specifically for plows so that's what I feel is the better solution. The Detail K2 Storm Plow part # K2AVAL8422 that you referenced is a great choice, and then for mounts custom fit to your 1994 Jeep Wrangler we have the part # K284115 which would work great. What Does Replacement Electric Winch K2EW8020 Fit? 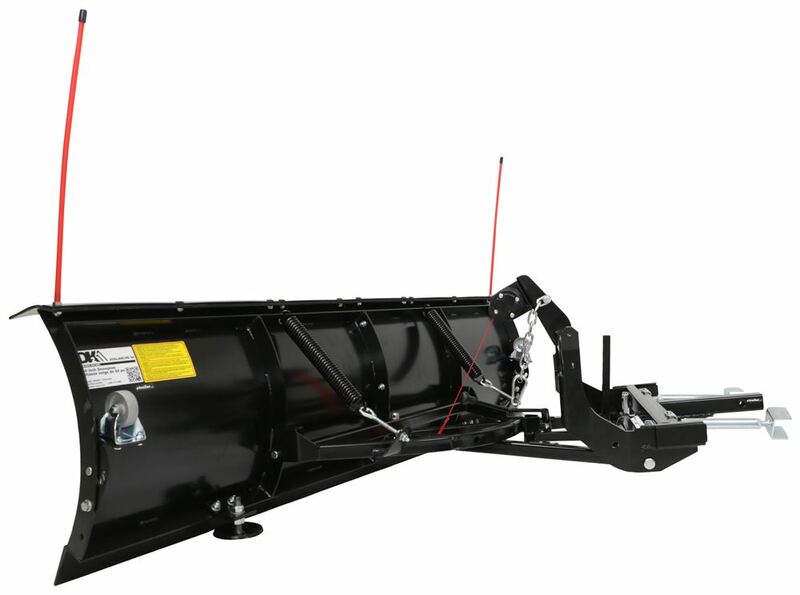 The Replacement Electric Winch for Detail K2 Snowplows # K2EW8020 is a direct fit as a replacement for a number of Detail K2 Snowplows. It is designed to be mounted with the Avalanche # K2AVAL8219 and # K2AVAL8422, Rampage K2RASP8219 and Rampage II # K2RAMP8219, Storm K2STSP8422 and Storm II # K2STOR8422 as well as the Summit K2SUSP8826 and Summit II K2SUMM8826. 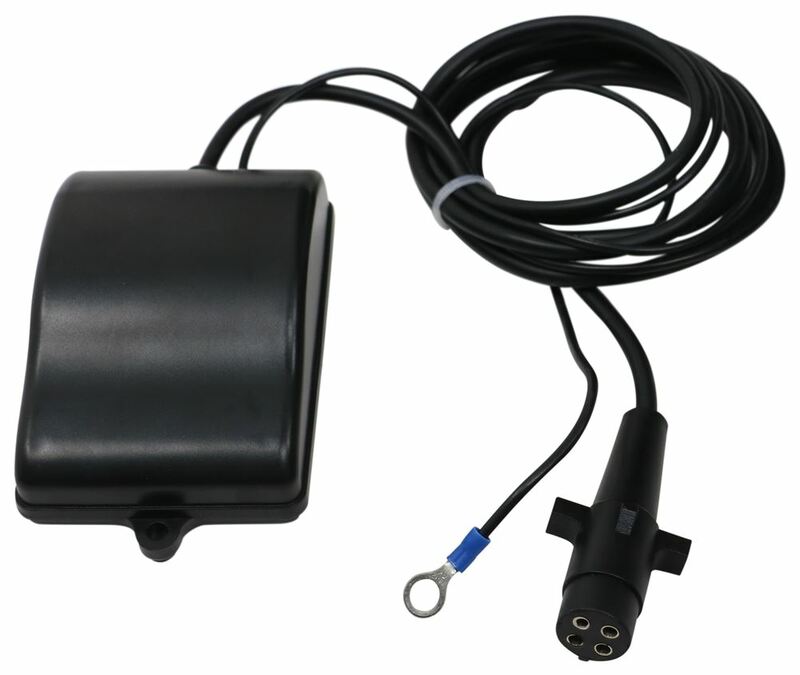 This replacement includes the cab-mounted switch which allows you to use your K2 from inside your truck. 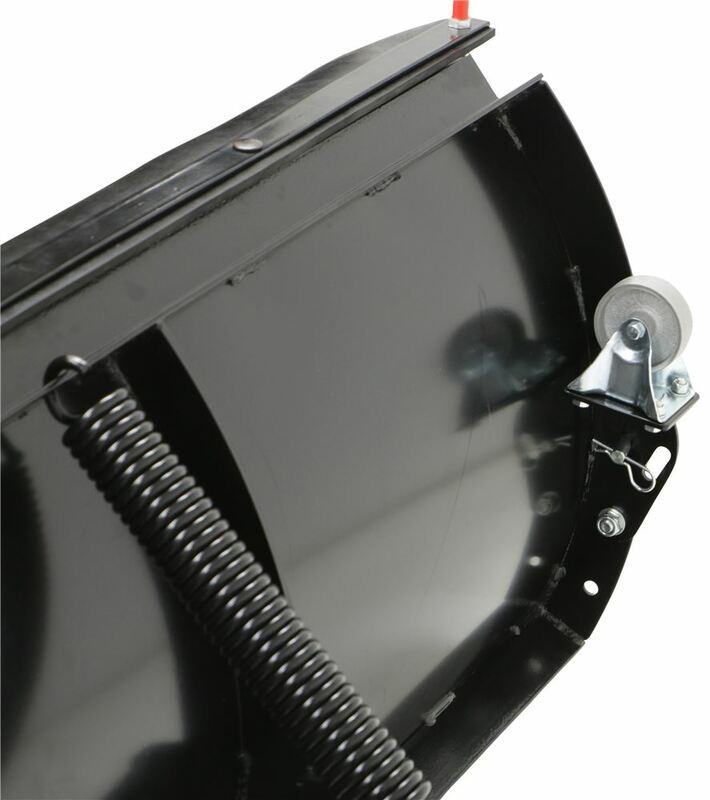 The Detail K2 Custom Mounting Brackets for Snowplows # K284309 does not have a 2-inch receiver opening for other purposes. This mount kit allows only plow installation. Also, with this kit installed it is not possible to mount a front hitch; my contact at K2 confirmed this for me. 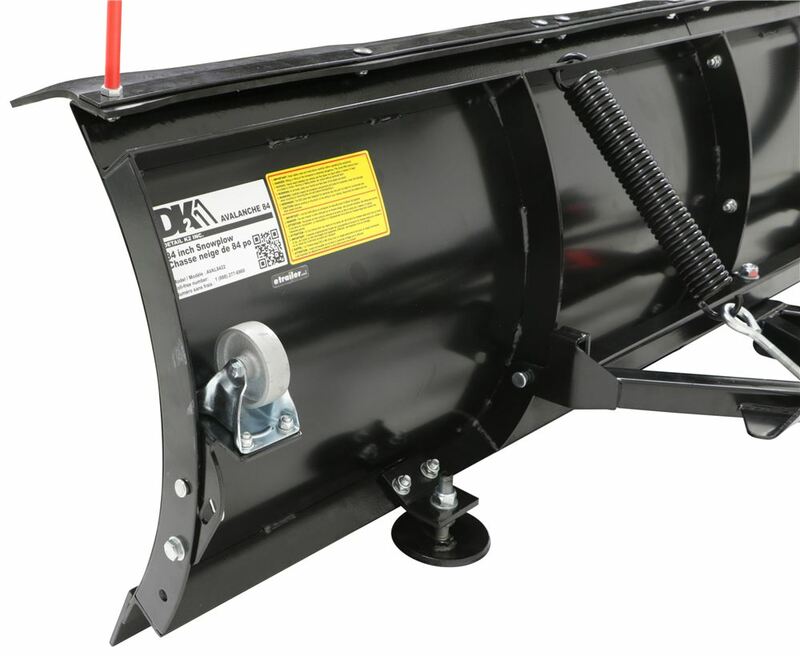 But if you were to install a front-mount 2-inch hitch, either Curt # 31604 or Draw-Tite # 65003, you could then mount a hitch-type plow such as Detail K2 Avalanche Snowplow # K2AVAL8422. 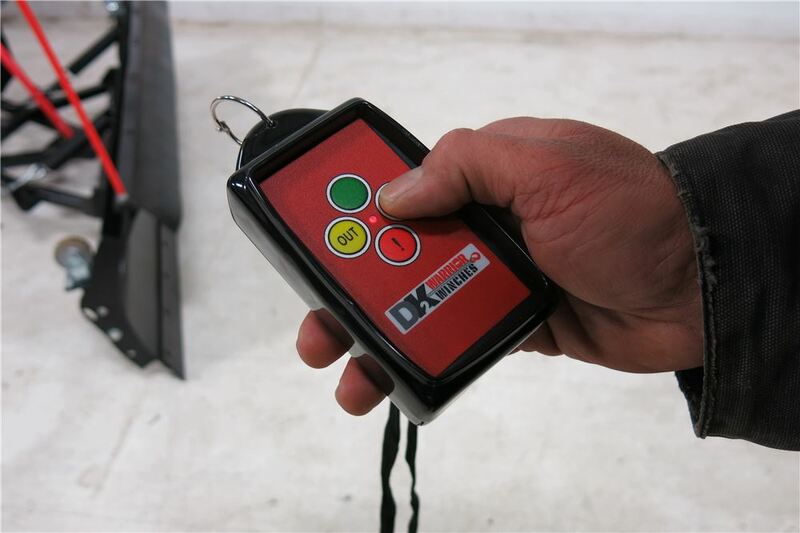 I spoke with my contact at Detail K2 who said that the height of the front hitch receiver on your 2005 Jeep Wrangler needs to be within the range of 13" - 18" which is measured to the bottom of the receiver opening. This is the case for all of their plows, including the Avalanche # K2AVAL8422 that you referenced. 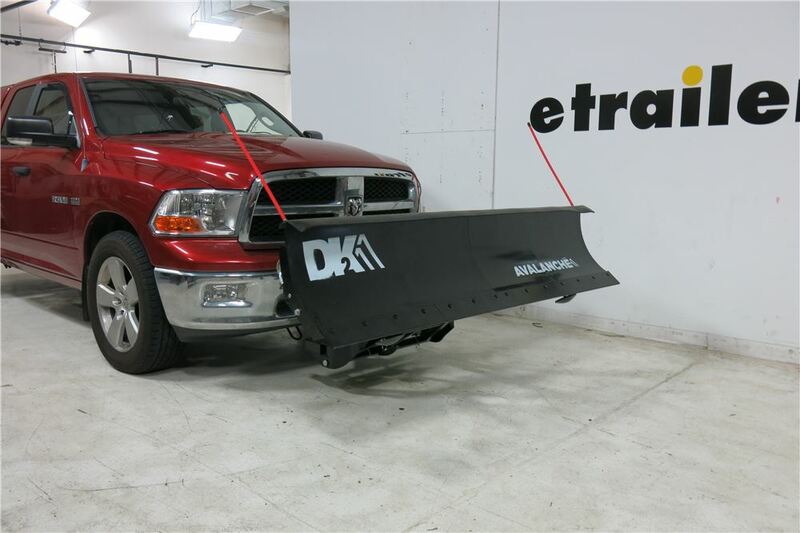 We have 84 inch plows like the Detail K2 Avalanche part # K2AVAL8422 but we no long have an 84 inch SnowSport HD plow. Highest quality snow plow for the best price. Most detailed, accurate snow plow information available.